By Ian Pollard in News and Views on 5th December 2017 . Victrex VCT managed a whopping 160% increase in dividends for the year to the end of September after a mediocre rise of 1% in sales volume led to a rise of 11% in profit before tax. The dividend increase comprised a 15% rise in the regular dividend plus payment of a special dividend of 68p per share. The support for this largess to shareholders is based on strong core growth and a rise of 88% in.cash generation. Pity they could not do more with the sales volume, then they could really have gone to town on those dividend increases. Dewhurst plc DWHT announces record results for the year to the 30th September. With the help of positive currency movements sales rose by 12.2% and profit before tax by 17.3% including a 0.4m currency benefit. The final dividend is to be increased by 0.5p per share to 8.5p making a total increase for the year of 1p. UK demand is described as being fragile at present with projects being delayed and deferred whilst overseas markets are buoyant. Ferguson plc FERG Trading profit in the quarter to the end of October grew by 13.9% after a 7.6% rise in organic revenue. The US enjoyed strong organic growth of 8.3% but as often happens the UK let the side down with a 3.8% fall in trading profit at constant exchange rates. 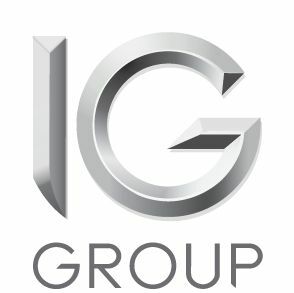 IG Group Holdings IGG continued to perform well in the second quarter after a strong first quarter and net trading revenue for the first half is expected to be up 9% on a year ago, whilst operating costs are expected to have fallen by 7% following a reduction in advertising and marketing. Cerillion CER has won one of those significant major contracts which had been so elusive earlier in the year. The contract, with a European telecommunications provider is to start immediately and is worth an initial £5m. and a total of £8.4m over five years. Wizz Air Holdings WIZZ grew November passenger numbers by 22% and increased load factor by 1.5ppts to 88.3%.